Local media reports suggest "a sudden fog" that drastically reduced visibility may have caused several small crashes that eventually led to the pile-up. More than 30 vehicles were involved in a pile-up on an expressway in east China's Anhui Province on Wednesday. At least 18 people were killed and 21 others injured in the horrifying accident. 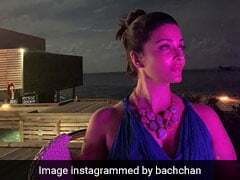 While the exact cause of the crash is still unclear, local media reports suggest "a sudden fog" that drastically reduced visibility may have caused several small crashes that eventually led to the pile-up. 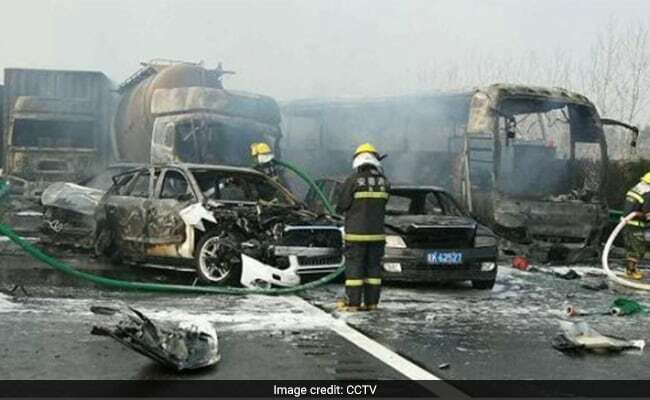 According to Xinhua, over 30 vehicles - including large trucks and buses - collided and several of them caught fire around 7.50 am on an expressway in Fuyang City. 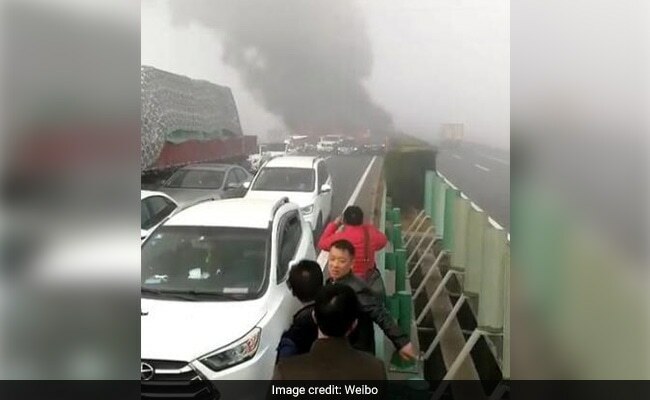 Footage of the aftermath, posted on YouTube by CGTN, shows large clouds of smoke billowing from the site of the crash. Firefighters walk past the burnt remains of vehicles that caught fire as the result of high-impact crash. According to Astro Awani, a helicopter was flown in and doubled up as a "flying ambulance." Firefighters managed to rescue at least 17 people from the wreckage. Emergency rescue teams are working with traffic police to re-open the expressway.